People always talk about running XC (cross country) in school, but today, I truly ran cross-country. I crossed an international border over and over again as part of my hill repeats. Here, let me explain. The Girl and I are up in Northern Finland for the week checking out the Northern Lights with some friends. I’ll cover that more later in the weekend. We’re staying in a tiny little cabin along a river. Which, is about as descriptive as you can get about this pretty place. If you can find the Middle of Nowhere on a map, we’re perhaps a kilometer or two from there. We are heavily outnumbered by reindeer. Serious. 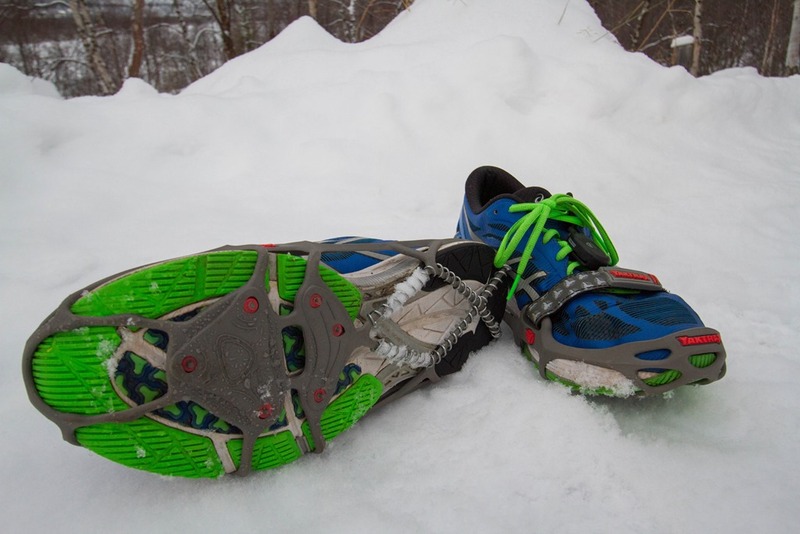 It was a great little run, and we had no problems using YakTrax as usual for snow running (we have a long history of running in the snow together). If you’re running on ice, they’re the best $20-$30 you can spend. This day, we split up for our respective runs. In my case, I decided to go for some hill repeats. I did this because it was getting towards sunset and the light was pretty thin. I didn’t want to be out on a lonely snow/ice road without light. Whereas the bridge over the border/river up to the border shack had a handful of lights. Note, when I say border crossing, I basically mean a small shack. And even that is only used for large transport trucks. All other cars just pass through. In any case, after a 15-minute warm-up, I got started on my hill repeats. 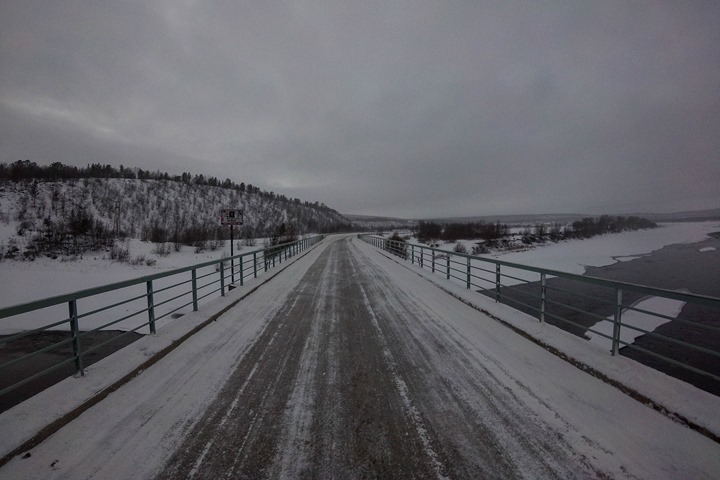 Each time I’d start from just on the Finland side of the border, then up the hill to the border crossing, before recovering while returning across to the Norwegian side of the border. You can see the beginning of the hill just at the start of the lights. All my hill photos came out fuzzy, so instead, here’s the river where I started each set (and the official border between the two countries). There’s a small two-sided sign in the middle of the river indicating the crossing of countries. 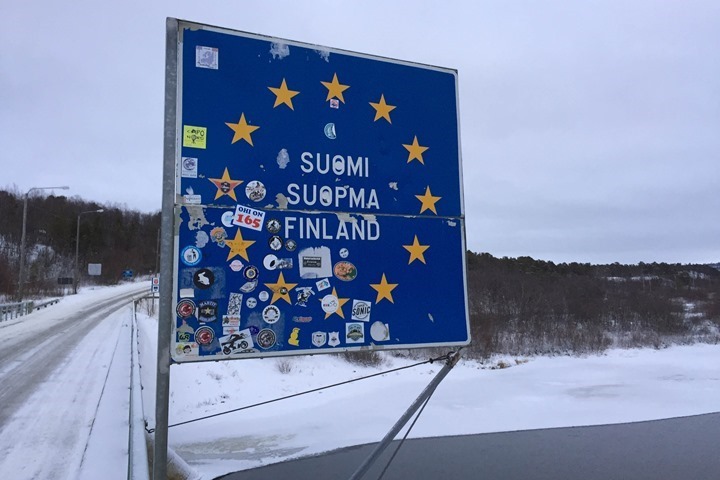 And in the case of traveling into Finland, there’s an additional sign indicating entering the European Union. After my repeats I decided to then do a 10-minute tempo run back to the cabin, slightly up-hill, and passing a single reindeer. Nothing fancy, but it was enough to trigger the FR630’s lactate threshold value along the way, so that was neat to see post-run. So I created one, from the border to the top of the hill. Now, I’m literally the King of the Mountain. I’ll be sure to do a real solid go of things on Friday before I leave, since the above was from an easier run. Open season for anyone who wishes to travel this far. Finally, for those curious on the tech side, I had a slew of watches with me. I was using the FR235, FR630, and carrying along the FR920XT and Suunto Traverse. In addition, I was also testing the Polar A360. For the two optical units (FR235/A360), they were on my wrists (one each). 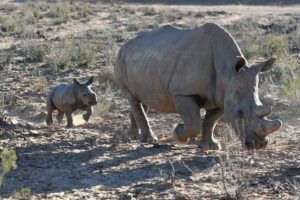 While the others were being toted along, mostly for data collection. For example I was interested in the new Running Dynamics metrics on the FR630, and then using the FR920XT for gathering Stryd Power data. And the Traverse, just cause I’m curious what it’s all about. I figure it’s fitting that I’d use the Suunto Traverse while in Finland, given both Suunto and Polar are Finnish companies. 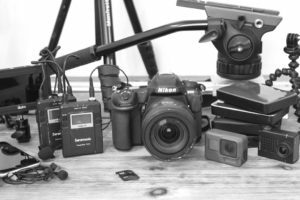 In any case – more to come! Nice. Can’t wait to read the review on the 235 and 630! Plus I’m a little jealous that you are seeing the northern lights! Looks like a bike run would have also net a KOM. Would be interesting to see how many HR drops there are at those temps. My 5 year old wants to know if you have seen Santa’s reindeer…. He’s actually too far north for that. Santa lives on Korvatunturi which is to the southeast. Normally I’m pretty envious of your travels, Ray. This time, not even a bit. That looks so COLD. 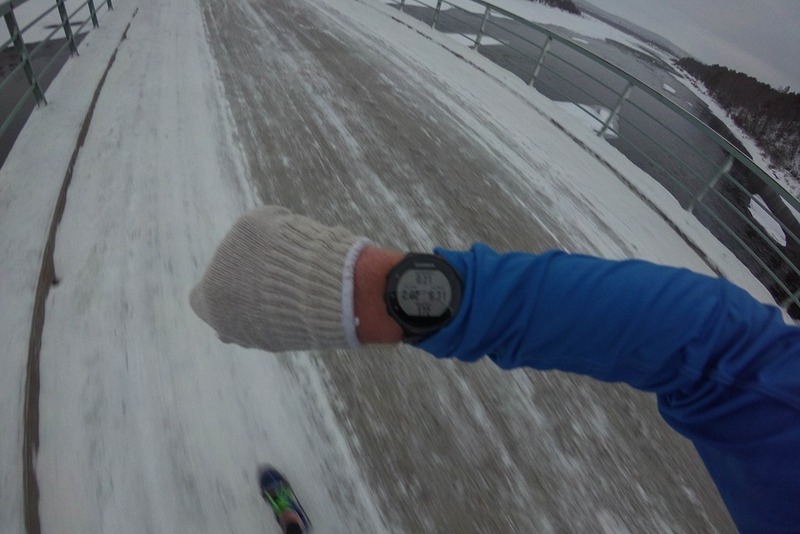 However, I guess that it’s good conditions to check optical heart rate monitors. Kippis! That A360 screen looks super bright and clear. 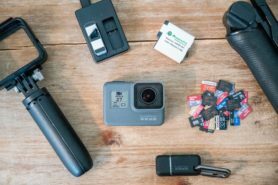 is the optical sensor any good? Good to see you still finding reasons to travel to surprisingly interesting parts of the middle of nowhere while self employed. So as you mentioned in your TT Spark review yesterday optical HR sensors tend to struggle in cold conditions during the first few min. of the run. Wondering if you did see the same pattern with the FR235? Talk about getting away from it all! I’m always thrilled looking at the odd places you visit (run/cycle). As a travel enthusiast I love looking at maps. My bad, it just lagged to load. 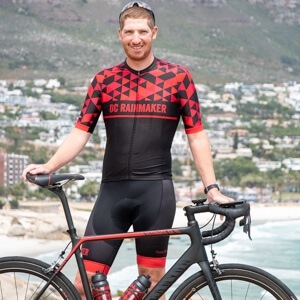 How about a prize for the first person to beat your KoM? Thats a fun idea, sth like Strava Geocaching! Makes me cold just looking at the ice and snow. I know its coming and I love running on snow – but just not quite ready yet. 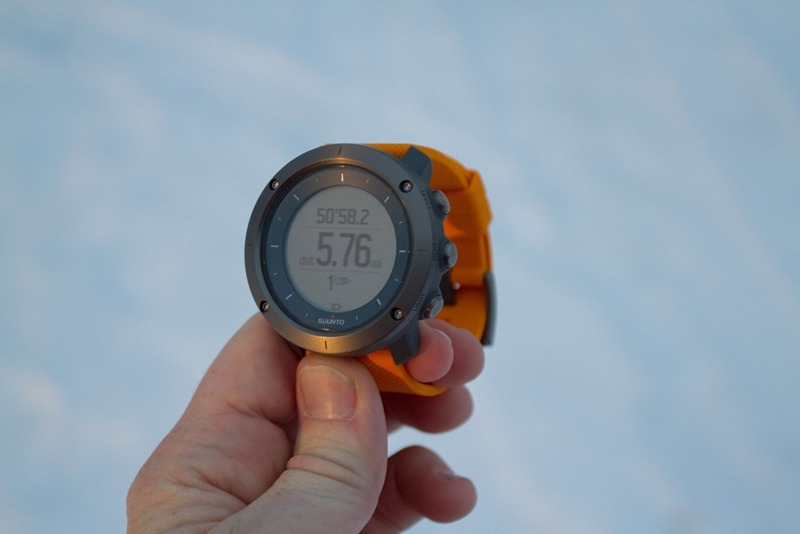 Suunto Traverse looks exactly like Fenix 3. Some originality please! That’s a great example of the fundamental problem with optical heart sensors (for me). I’m going to want to wear long sleeves and gloves, yet still view HR. No exposed skin at the wrists. Send snow to the midwest please. 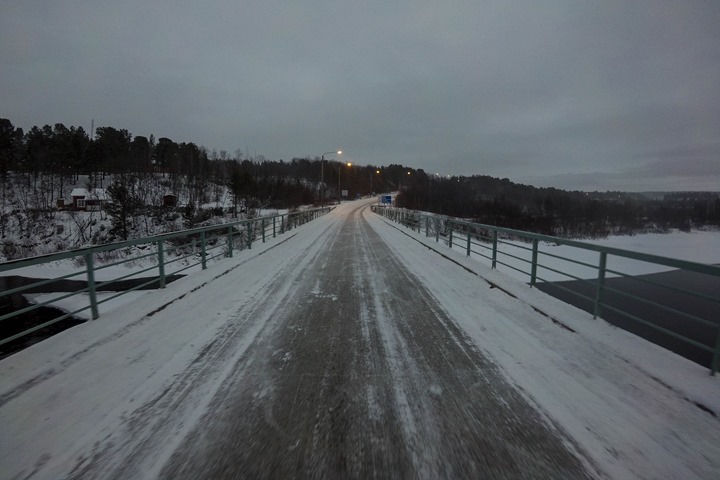 I spent 3 winter months in Sweden (Kiruna) for work about 15 years ago. The grey din of perpetual twilight in your pictures brings back fond memories. 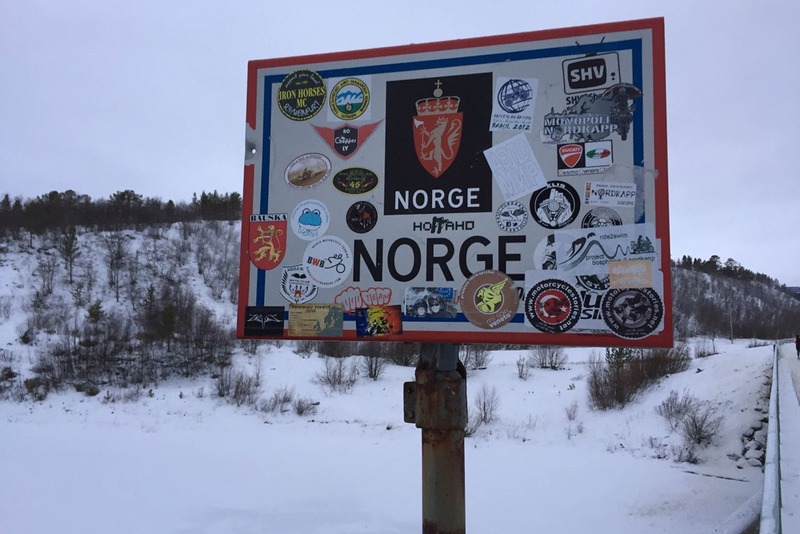 I have a similar picture of a Norwegian border crossing sign from a road trip to Narvik. Hei Ray, that’s only a few hours (by car) from Tromsø, where I live now since three years. Good luck with watching polar lights, here it’s a bit cloudy for that (and no solar activity to speak of). This is why your site is so great. You can make the middle of nowhere . . . somewhere interesting. Brrrr those photos look coooold! Can you share any first impressions on the FR 235? Is the optical heart rate monitor (Elevate) about the same as the Vivosmart HR. Early reports there suggest it may be one the best optical HRMs for both activities and 24/7 monitoring, although looking forward to your experiences. Also, I was wondering if you used it for broadcasting on Ant+. Does it stop all other functions (i.e. activity recording) like the Vivosmart HR? Liking the snow. Almost envious. But then again, I did drive to work in a convertible with the top down this morning. In late November. In metro Boston! Norway is part of the Schengen area, so there’s no border control or need of travel documents if you are coming from EU (like Sweden). Welcome to Finland! 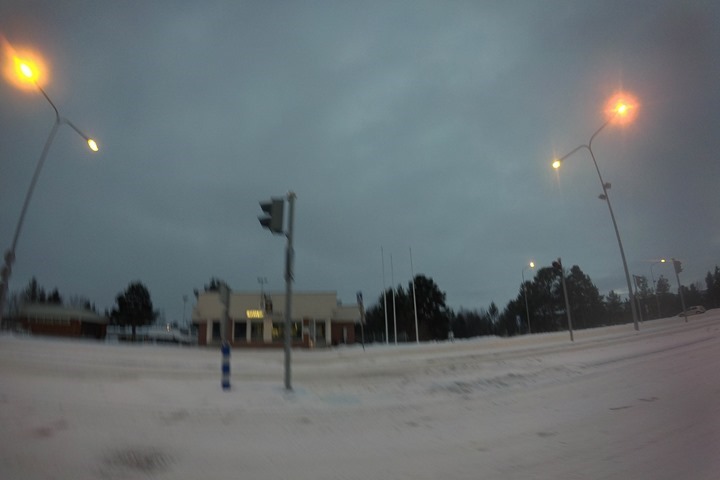 This time of the year there is’t much daylight in the northern Finland:) try again in summer time then we have sunligth around the clock. 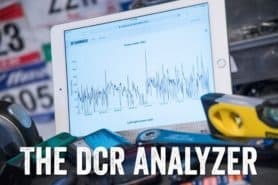 Do those new running dynamics also come to the 920XT? Not at this point. But just an hour ago Garmin released a beta firmware for the Fenix3 adding it, so I’ve gotta believe we’ll soon see it on the FR920XT/Epix units (usually it takes a few weeks to a month for all of those features to ‘even out’ between product teams). Narikkatorilla? 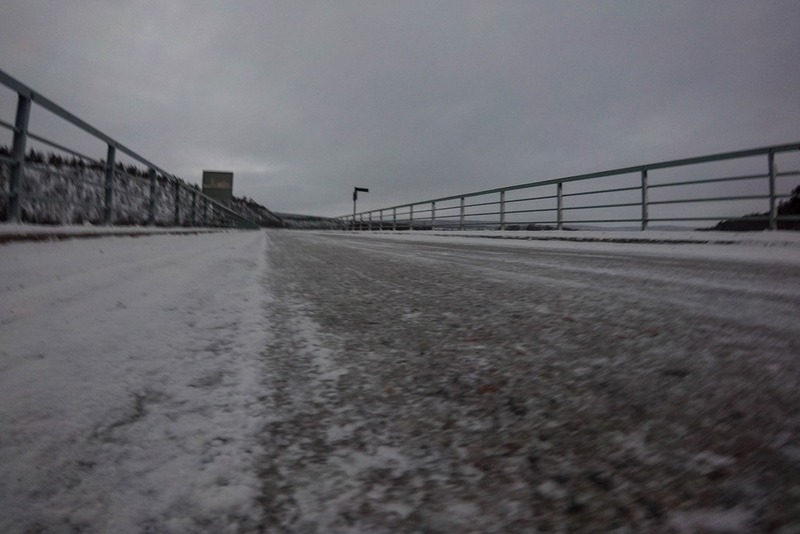 Taitaa olla liian kaukana susirajalta, eikä varmaan polarilaiset tai suunnon väki jätä turhaa joutoaikaa. I’m a big fan of a border crossing also, not sure why but fascinated me since being a kid. Can’t wait for the 235 and A360 reviews. 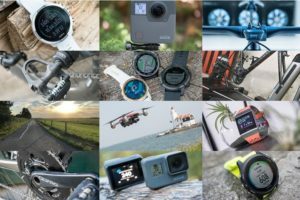 Hi Ray, how come there is so few reviews on Suunto Traverse out there and even you seem to mention it only very occasionally? 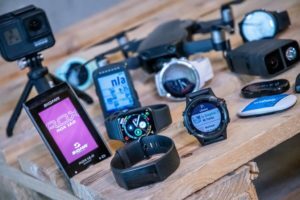 I’m a garmin guy but I thought that for the Suunto lovers the Traverse was a new hit just like the fenix 3 or 920xt were/are. I’ve been wondering the same. It seems to have got very little attention in general. When I first read the original announcement I had trouble figuring out what the deal was (who the target audiance is, functionality, etc). It’s mostly because the launch was so confusing, so many outlets honestly lost interest – and then consumers never heard about it. I talk through it a bit in my ANT+ talk that I posted a week or so ago. I’m not yet entirely sure who the audience is. I like the unit, but it’s really hard to justify having less features for the same amount of money. The only physical differences (additions) are that it doesn’t have the bump at the bottom anymore, and does have vibration alerts. Beyond that, it’s all super-slimmed down feature-wise. I’m putting together a post next week to try and explain it a bit more. Thanks Ray, I would assume that the Kailash Collection (e.g. the 1000-bucks GPS Kailash 7R) is something you don’t normally review as it is not targeted for wide public, right? But if you ever come into contact with that watch, could you take and post some real pictures? I’ve expressed my interest in getting some hands-on time with a unit to Suunto, as I figure it’d probably be something that’d work in terms of a quick post serving more as ‘an explainer’ if that makes sense. Since I think there’s a fair bit of confusion on it too. Ray, welcome to visit us at Vertical and have a short lecture to our teams if you travel via Helsinki! And i cannot add vertical.vc in comment filed!!! Awesome post! Out of curiosity, did you see any GPS acquisition time or accuracy issues being above the Arctic Circle? I saw some oddities with the Traverse on day 1, but that’s it. Can’t wait for the FR235 review, looks like it’s got everything I really want in a running watch. I’ve got a long 7 day hike next year coming up(Kokoda trail in PNG), just wondering how you’d think this watch would go at hiking, along with all my current running, which is mainly cross country(though not literally cross country). My main attraction to it is the optical HR, I’d prefer that than a strap. Would be great to hear your thoughts on using it for Kokoda, cheers! I limit my ‘freezing my balls off in ice water’ time to once per year. This was not an approved venue for that time. If you do want to try an exotic true cross-country open water swimming competition (without freezin your balls off) there’s always “Swim the Arctic Circle” (link to swimac.eu) in Torne river between Sweden and Finland. I haven’t swam it (yet) but I’ve heard it’s quite a fun event. It’s also cross-time zone! Looks fun! And I was complaining about the running weather here in Indiana! Can’t wait for your Polar A360 review!! Saving up the Birthday and Christmas money in case you give it your seal of approval!!!! 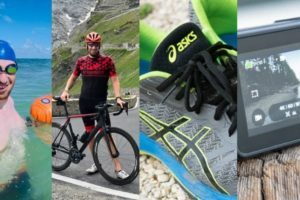 The new HRM-RUN is compatible with the FR920XT, but at this time Garmin hasn’t yet said whether or not they’ll add the Gen2 Running Dynamics to the FR920XT. They have however this weekend pushed out a beta update for the Fenix3 enabling that functionality. Typically the FR920XT/Fenix3/Epix stay in lockstep. Did you by chance (or invitation) get to stop by the Polar HQ? Seems like a good opportunity to see how things went 1+ yr later for all the products launched or attempted to launch/struggled (Flow,V800, V650, M450, M400, A300, A360) since then? 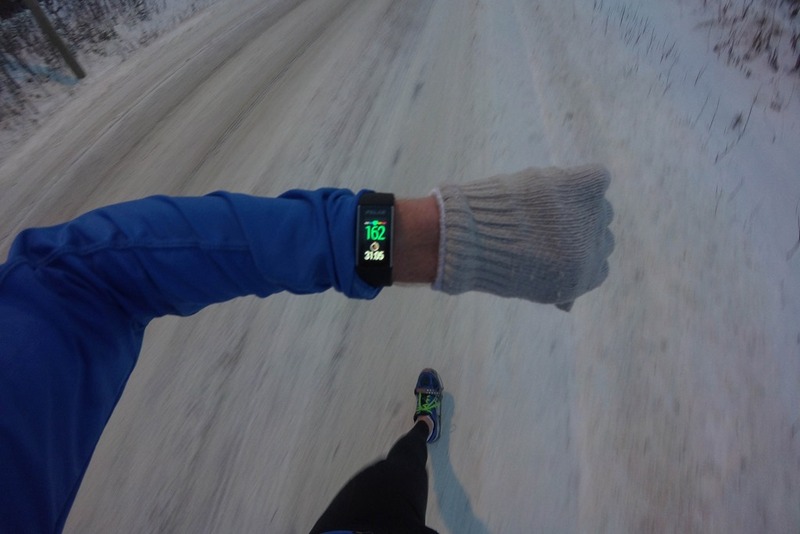 No stop by Polar HQ, though did actually overfly them (and then drove right past Suunto HQ). But we didn’t tell anyone we were going ahead of time. I do like that display on the A360. Used a pair of the Yaktrax Run for the first time the other day and they are pretty awesome.